HomeGolfMorri: Golf – Art? Science? Both? 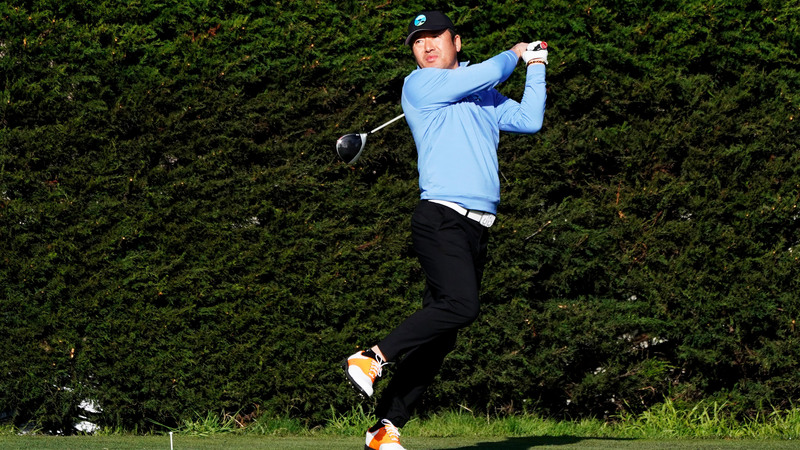 From Ben Hogan to Seve Ballesteros and Bryson DeChambeau to Ho Sung Choi (pictured above), surely no game can lay claim to such an eclectic mix of world class exponents? Maddening and gratifying in equal measure, it is no surprise that for many – from both camps – golf is the game that captures them for a lifetime. to the deeper philosophical questions posed by the game. For the engineers the endless quest is to overcome golf’s vagaries by applying cold logic to the tools of the trade, be it the clubs, the golf swing or both. Of course, neither is ever completely right nor is either ever completely wrong, which allows both to blissfully co-exist in a state somewhere between satisfaction and disappointment. The bulk of golfers probably have a foot in each camp when it comes to their own approach to the game and I would include myself in this. For example, I can see the obvious value of a tool like Trackman and the benefits of club fitting. Equally, I recognise the reality that the short game bears more resemblance to black magic than the laws of physics. RIGHT: DeChambeau approaches the game scientifically. PHOTO: Ross Kinnaird/Getty Images. You can get a sense of which side of the fence a golfer identifies with by the way they talk about the game. Arnold Palmer might be golf’s most charismatic figure and his musings would suggest he counted himself among the artists. Seve Ballesteros was even more explicit. “When in trouble, I always stand directly behind the ball, stare intently at my target, and wait patiently for the movies to begin,” he said in the book Natural Golf. While Palmer and Seve were both known for their bold play Ben Hogan was a much cooler customer identified more with precision and control and his utterances on the game reflect that. RIGHT: Ballesteros viewed the game with artistic eyes. PHOTO: Adrian Murrell/Getty Images. In the end it doesn’t matter which side of the brain you find is stimulated by golf as there is joy to be found in either approach. It’s one of the reasons people can come to golf late in life yet become totally addicted, often to their own surprise. PING founder Karsten Solheim never played until he was in his 40s yet so frustrating did he find the game, especially on the greens, that his obsession to improve ultimately led to the creation of one of the game’s most iconic club manufacturing brands. Just another shining example of what makes golf the greatest game of all.